Autonomous Smart Desk 2 Review – What makes the Autonomous SmartDesk 2 different? 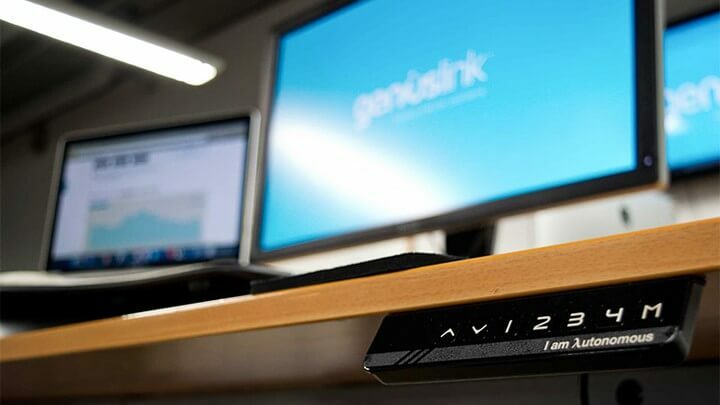 Available in a Business Edition and in a Home Edition, the Autonomous SmartDesk 2 is an innovative standing desk which is easy to use and affordable. Both versions emphasize all the benefits of a modern standing desk. In reality, there are not too many standing desks which come in two versions. Autonomous has managed to create solutions to suit the needs of all customers. The Home Edition standing desk comes at $299. The Business Edition starts at $399. Even so, both versions are among the most affordable solutions on the market. Compared to IKEA alternatives or other standing desks, the price point is low which means that it can suit all types of office professionals. At the same time, both versions can simply be solutions to those seeking even extra discounts as there are price drops when purchasing 2,5, 10 or 15 units. Creating an entire office with standing desks is possible. But the desk is certainly suited to professionals such as freelancers or employees who need to sit all day. Since sitting is not exactly the best for a healthy body, the desk allows the standing variation. Both sitting and standing are recommended through the day. This active way of working ensures some extra calories are being consumed while at work. Furthermore, it promotes good posture. But as the review of the SmartDesk 2 communicates the best is the fact that it even forces a correct head position. The height-adjustable desk brings the monitor to a level position with the eyes. It allows users to look straight ahead without hunching over to see the monitor better. In terms of practicality, there SmartDesk 2 is as robust as expected. If the Home Edition is slightly faster for height adjustability speed, both versions can work well when it comes to improved practicality. There are only a few buttons to configure from the control panel. 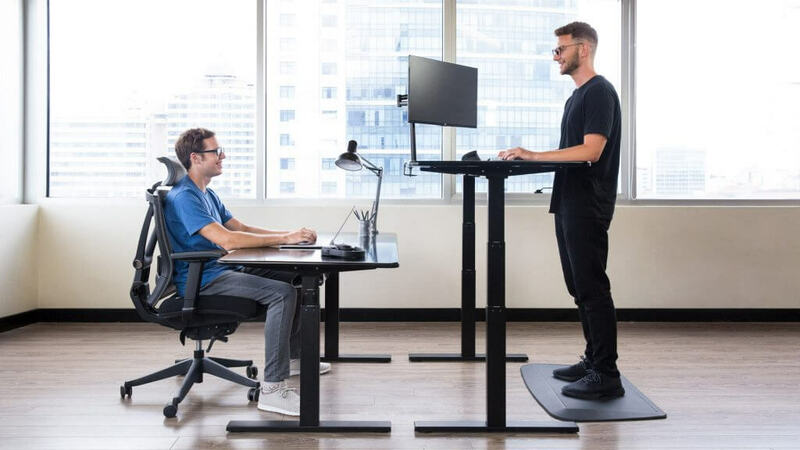 Furthermore, it is also important to know that the standing desk actually comes with user-defined height levels, which is a signature of Autonomous on all of the companies’ standing desks. The functionality of the control panel allows the desk to be durable as well. There are no wobbly buttons to worry about and there are no complex technologies to break in time. On the same wobbling page, it is also important to note that the SmartDesk 2 remains stable, even when fully extended. So is it right for all users? The Autonomous SmartDesk 2 is certainly right for those who are seeking more vertical freedom and even more general freedom of movement. With a system which is easy to control, it allows all people to have access to a technology which would otherwise cost much more. 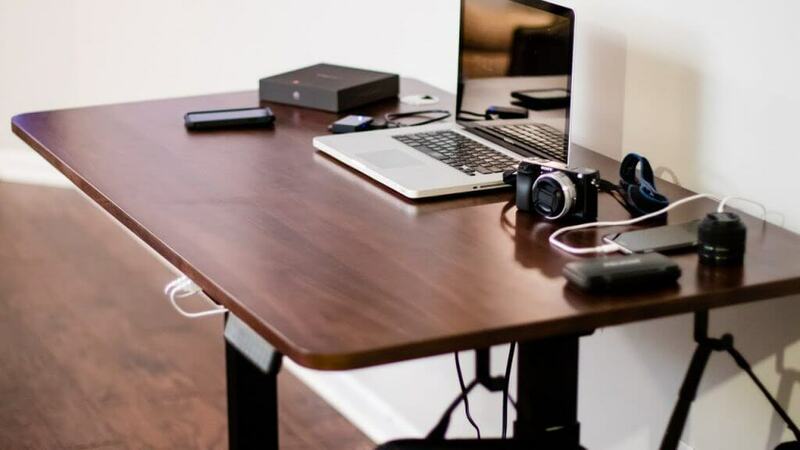 The Home Edition can even successfully replace fixed standing desk as it may even be more affordable than these classic alternatives. Using the Autonomous SmartDesk 2 is probably the simplest process when compared to other similar products. The adjustability buttons are within easy reach. There are only 2 buttons for vertical adjustments and 4 memory settings for user-defined heights. The users of the desk don’t need to be constantly looking for the most suitable height with these characteristics. Installing the desk is not rocket science. Everything comes nicely packaged and even the screws come organized by type. It should not take too long to install the standing desk. The included instructions take the guesswork out of the process as well. So are there recommended accessories for the SmartDesk 2? The standing desk comes with all that’s needed to start working. It doesn’t need anything else to get going. However, Autonomous is also known for an attractive range of office chairs, which can be a great combination for the moments when work is not being done from a standing position. Both the Business Edition and the Home Edition options in this Autonomous Smart Desk 2 Review are worthy solutions for any workplace. They represent solid alternatives to the way things stand on a market where a high entry price keeps many people away from standing at the desk and ultimately, from the true creative potential. The SmartDesk 2 has a certain attention-grabbing appeal which will start many conversations for sure. Used at home or at the office, both versions surprise with their simplicity. But this simply cannot be mistaken with poor abilities as the standing desk are fully capable to support multiple monitors and to allow users to work with a straight back, where posture is always of importance.